Matthew Perry says he was "very lonely" while starring in Friends because he was desperate to hide his addiction. 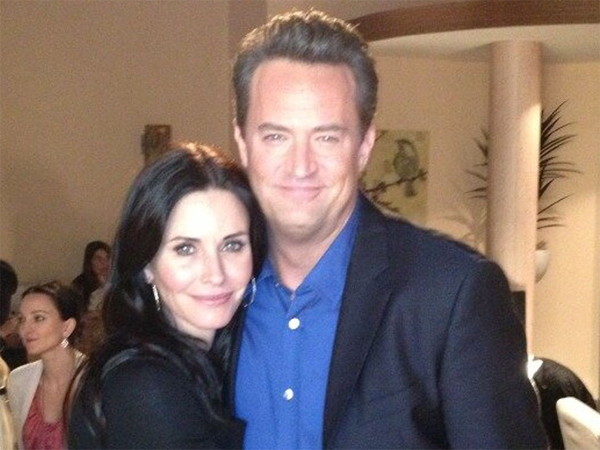 Matthew Perry says he was "very lonely" while starring in Friends. The 43-year-old actor ? who battled addictions to alcohol, painkillers Vicodin and methadone, and amphetamines during his 10-year stint on the hit sitcom ? says he tried to hide his problems from the rest of the cast, including Jennifer Aniston and Courteney Cox, despite often being "painfully hung over" while filming the show. He told People magazine he was "never high at work" but was "painfully, painfully hung over". He added, "Then eventually things got so bad I couldn't hide it, and then everybody knew. "I've had a life of extreme highs and extreme lows. I was in the white hot flame of fame. From an outsider's perspective it would seem like I had it all. It was actually a very lonely time for me because I was suffering from alcoholism." Matthew insists he’s now in a good place and hopes he can set an admirable example to people suffering from similar problems. The Go On star explained, "The interesting reason that I can be so helpful now is because I screwed up so often. It's nice for people to see that somebody who once struggled in their life is not struggling any more."